BMW decided to revive the 6 Series in 2003, but the company made some unusual decisions about the positioning of that model. Mercedes was offering at the time CLK later transforming to E-Class Coupe and CL which turn to S-Class Coupe by time. 6 Series kind of sit in between, especially with price, probably with the intention to sway buyers away from both of mentioned rivals. Sales wise it didn’t turn so happily for Beemer. It was either too pricey for coupe derived from the mid-size luxury car or not as near lavish and luxurious to rival Merc’s largest coupe flagship. Just recently Lexus has joined the game of top luxury coupe offer lead by Stuttgart, with new LC, and this time Munich is about to respond in a proper way with 2019 BMW 8 Series. Yes, you are right. BMW produced 8 Series from 1989 till 1999 and though it entered production just when 6 Series was out it wasn’t the successor. It was bigger, pricier, faster and it occupied segment above, same as the newcomer is about to do. 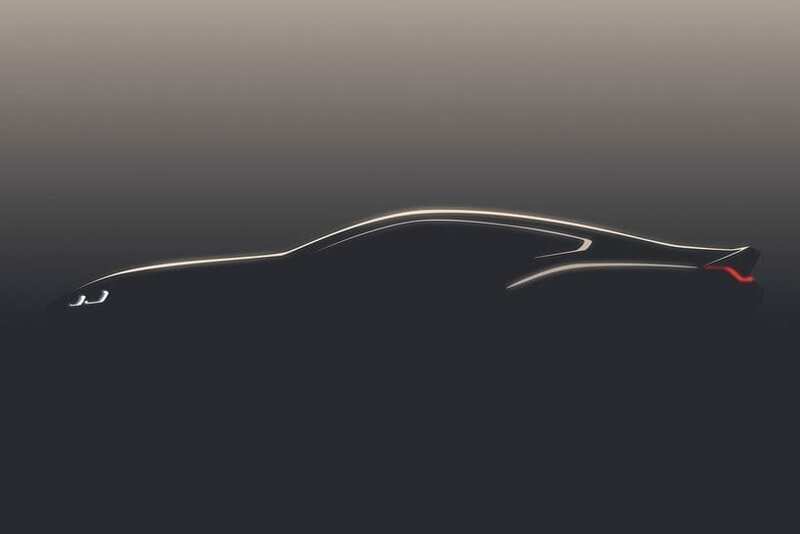 We have an abundance of spy shots for now, and we just received teaser picture released by BMW. And for God sake, that teaser looks promising. We have a very shark-like nose, as 6 Series does, extremely sleek roof line, gorgeously sculptured duck-like tail and massive and powerful rear fenders. Everything appears very sophisticated but also muscular at the same time, and if the whole picture confirms these impressions, Beemer will have a winner as far as the look is concerned. 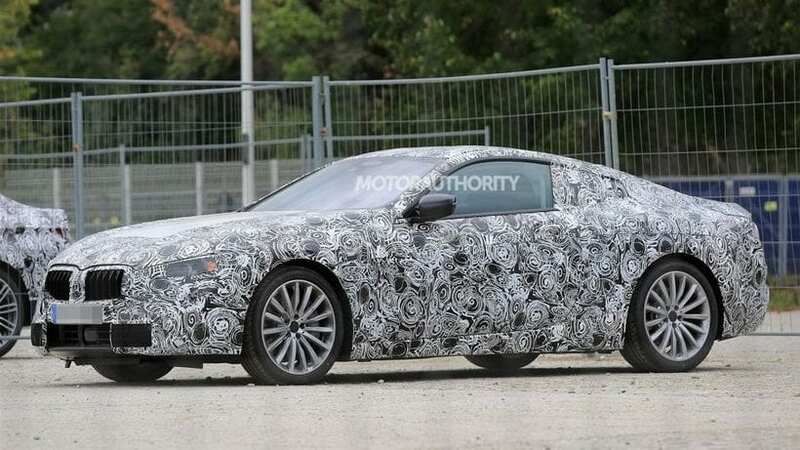 When it comes to the cabin, we don’t have any spy shots or teasers regarding it, but don’t be surprised if one from 7 Series is borrowed completely or just with slight alterations as Merc is doing with its S-Class Coupe product. Still, it could be opposite story as 6 Series got its own special design approach on the inside and we might have some evolution of that design and one found in i8, proving as more visually suitable for two-door products and their sportier aspirations. Opposite from that Lexus went that way with LC, so we are left to see what BMW is about to do. Once upon a time, 8 Series was powered exclusively by V8 or V12 engines. Today 6 Series shares only upper part of engine lineup with 5 Series, so expect the same story with new model and gas guzzlers found under 7 Series bonnet. Four cylinder is out of the question as well as diesel as far as the US is concerned, though Europe will probably accept astonishing inline six with four turbos from 750d and possibly the same unit with half of those turbos from the 740d model. Back to the US now, and we are left with 3.0-liter twin-turbocharged I6 pumping 320 hp and 4.4-liter twin-turbocharged V8 boosting 445 hp. And for the end, let’s not forget about magnificent 6.6-liter twin-turbo V12 residing in M760i model, delivering no less than 601 hp, which is actually borrowed from Rolls-Royce, and it doesn’t get bigger than that. The German carmaker remained absolutely reluctant to offer a full blown M7 model, but there might be a chance with upcoming 8 Series. 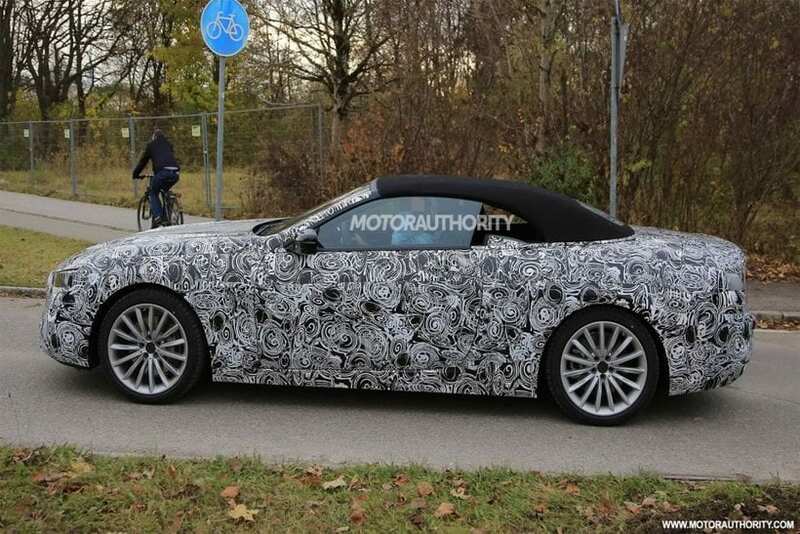 It has been just officially confirmed, and 2019 BMW 8 Series is due to arrive next year. That is not so far away and expect it to be priced around $100k area. So, is it worth of waiting for? The segment is far from being overcrowded, and there is evidently space for a bigger model to be offered. S-Class Coupe will probably continue to dominate in the field of lavishness and luxury, giving way to sublime comfort at the cost of dynamics.